Have you heard of local SEO? Do you understand its benefits and how it could enhance your business? Working in online marketing with many local businesses in and around Bromley, we often find our clients have lots of questions about how to profit from their websites and how to attract their ideal customers in their area. 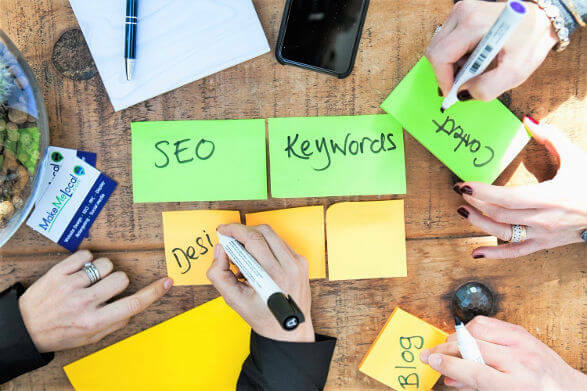 To help answer some of the questions you might have about local SEO and how it can work for your business, we have put together a blog addressing some of the most important topics, with guidance from our own in-house local marketing experts. Take this example. You run a restaurant in Bromley. You want to attract more people who are looking for a restaurant in Bromley town centre. 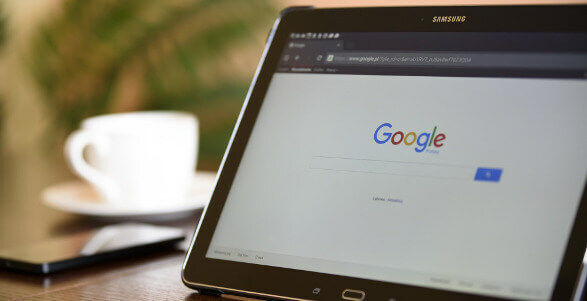 People are using Google to search for the phrase ‘restaurant in Bromley’ – if your website is seen as a good match by Google, then it will show your website on SERPs. This means that people looking for restaurants in their vicinity will be able to find yours, increasing your online visibility. The closer your website is to the number 1 spot on a SERP, the more visibility you will achieve. What kinds of businesses can benefit from local SEO? Businesses that have a strong local presence can really benefit from a local SEO strategy. This often includes businesses that have an actual shop, showroom or other physical premises, where your business success relies on footfall. Local SEO is also important for people who offer services in a specific area and want to be found online. For example, you might be a plumber or an electrician based in Bromley, wanting to receive enquiries for work in and around your area. We know a thing or two about local SEO – you’ve probably noticed from our name. 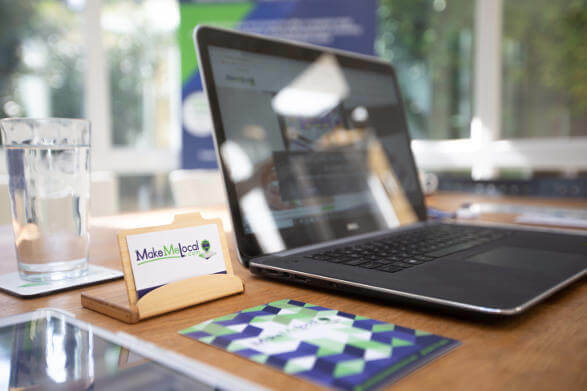 We have spent many years honing our knowledge when it comes to local SEO, and we know how to build websites that put businesses on the map in their local areas. A local SEO campaign needs several stages of planning, and it doesn’t happen overnight. There are various steps you need to take to help your website achieve peak local authority with Google. We have to let you in on a secret here – nobody really understands the exact workings of Google. If a web marketing agency tells you they do, this should immediately make you suspicious. The only people who know Google’s juiciest secrets are those who work for the company. That being said, there are many things you can do to make your website more attractive to Google, and the proof is in the pudding – we’ve achieved some amazing results with our Google-friendly strategies. Planning is everything. Keyword research is essential and will show you the kinds of search terms you should be targeting, by finding out what real people are searching for. Your sitemap is simply a list of the pages on your website, which Google will use to categorise your website and understand its relevance. Google will use your sitemap to crawl your website, going through your content to understand what your website is all about. This means you need to have pages on your website that cover the topics most relevant to your customers, so you can show Google what you are all about. It’s important you have a sitemap that shows Google where you are based as well, so its algorithm knows to show your website to people who are searching in your area. Content is one of the most important elements of your website. It gives your website visitors all the information they need, it shows you are an authority in your field – and it shows where you are based. If Google has you marked out as a key business in a specific area, then your business is more likely to rank for search terms that include that location. Google is clever and highly sophisticated, but you need real people to love your website as well. This is where you turn those leads into conversions. You need to think about what the people who visit your website want to find, and give them the information they need. This will all relate to your call to action – what do you want people to do? If you are local business, chances are you might want them to visit your shop, or to enquire about your services in their area. You’ll need to make it easy for people to find what they need and to take the action you want them to take. It works both ways as well. If people love your website, chances are Google will too. Websites that include good content and are easy to navigate will tend to have a higher domain authority – this is something developed by Moz and is used to predict how well a website will rank. The higher the score, the more likely it is that a website will rank. We all want to be liked, don’t we? Websites are no different. When another website links to yours, it’s like a seal of approval, showing Google that your website is well liked by others. Links are one of the most important ranking factors for a website, so if you are targeting local search phrases, it’s important you have local links to back up your strategy. You can tell Google where you’re based, and this will be useful – but when another website does it too, it helps to make your website that bit more authoritative. Your presence on the internet is far reaching and people can find out about you in many different ways. It’s important you make sure that your online presence shows who you are and where you are based, so that your customers can find this information easily. Reviews – see if you can get reviews from local customers, making you better known and more trustworthy. Got your head around local SEO? There’s a lot to take in when it comes to local SEO. And this is just an overview – every business will require a slightly different approach that is relevant to their industry and their ideal customers. If you want to ask us anything at all about local SEO, we’re just at the end of the phone. And you can always stay up-to-date with us on social media for relevant updates and more web marketing wisdom. Had a local SEO breakthrough yourself? Let us know!